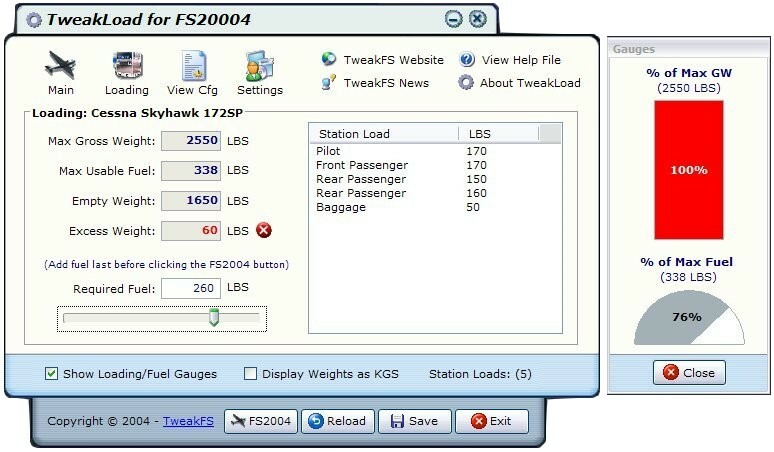 Adjust your aircraft passenger and loading details. 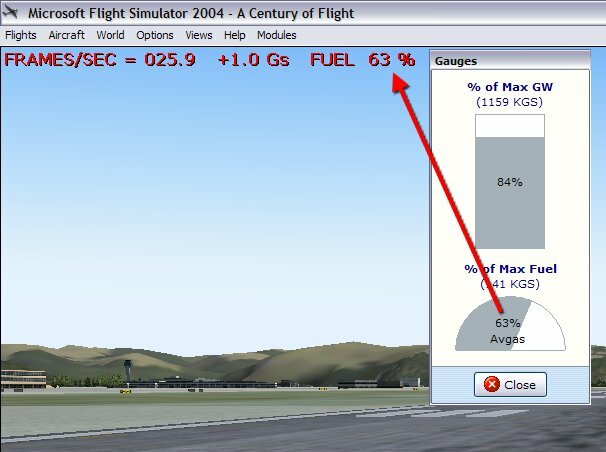 Many top-quality payware aircraft packages come with a custom-built aircraft loading editor, something which many of us would like to use with any FS2004 aircraft. 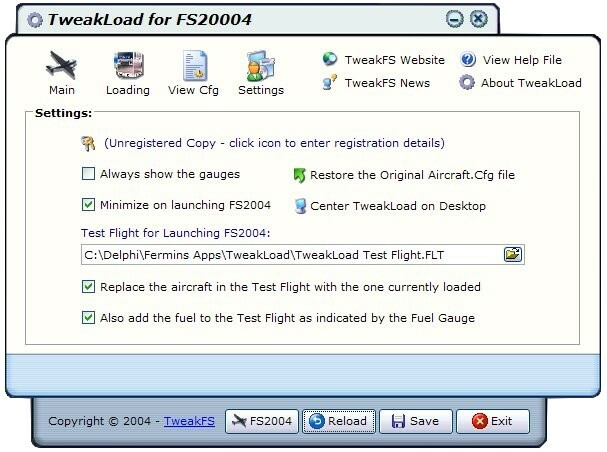 TweakLoad fills this need by giving you the ability to edit any FS2004-standard aircraft outside of FS2004 (FS2002 models running under FS2004 may also be edited depending on how closely they stick to the FS2004 SDK). 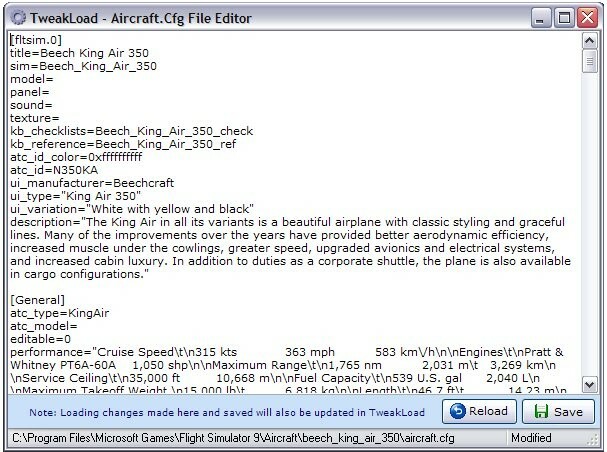 Many FS2004 pilots are also avid tweakers and like the power of editing the Aircraft.Cfg file directly. TweakLoad provides a simple integrated text editor that you can use to make any other changes you desire.